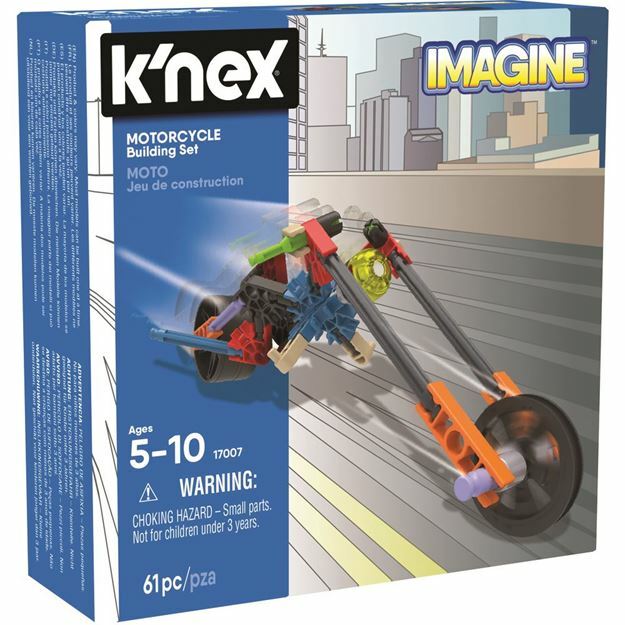 Introduce your children to endless building possibilities with the K'Nex Motorcycle building set! Unleash your childs imagination as they create their own designs! Combine the parts from this set with the stealth plane and rocket car K'Nex sets (each sold separately), to construct an amazing helicopter combo build! 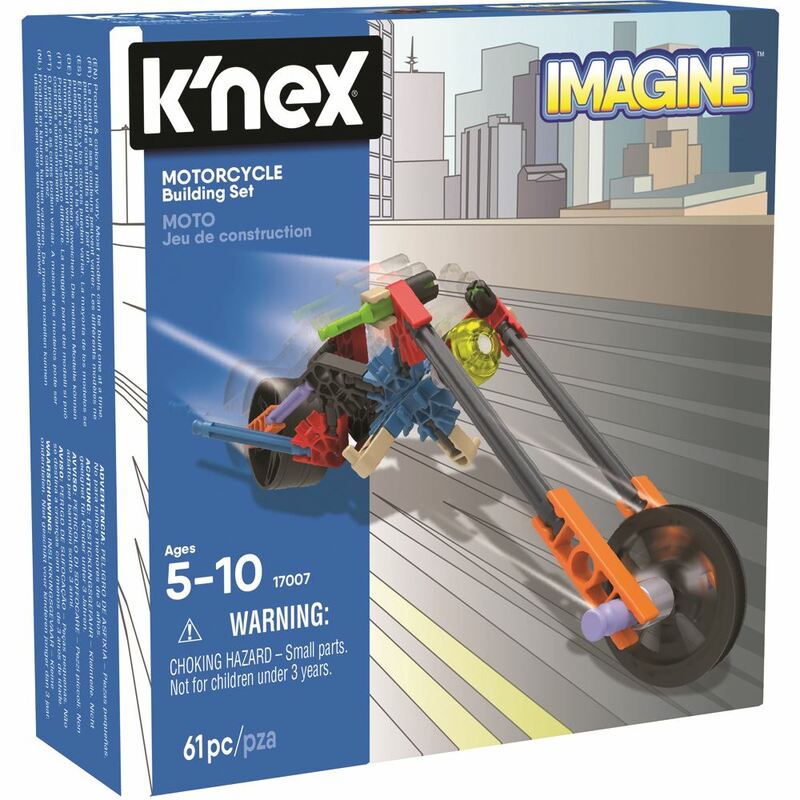 Includes: 61 K'Nex parts (including rods, connectors and wheels) and easy to follow instructions. Part of the Imagine range. Age 5 - 10 years. Distributed in New Zealand by Holdson.